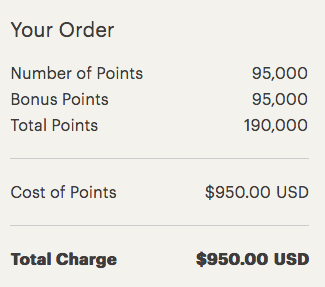 It's nice to see IHG once again offer up to a 100% bonus when buying points and for a longer period than last time as that was only a flash sale. The maximum number points you can buy depends on if you have bought any yet this year. If you haven't then you can buy 100,000 points and get 100,000 bonus points on top of that.